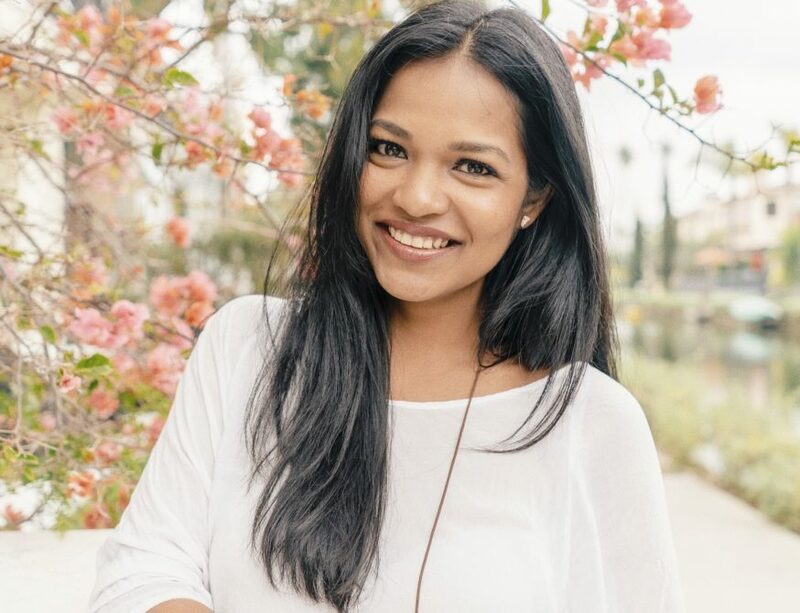 In 2015, Sashee Chandran left her six-figure marketing job at eBay to launch a new idea: Tea Drops, a bagless, organic, pressed tea that instantly dissolves in hot water. 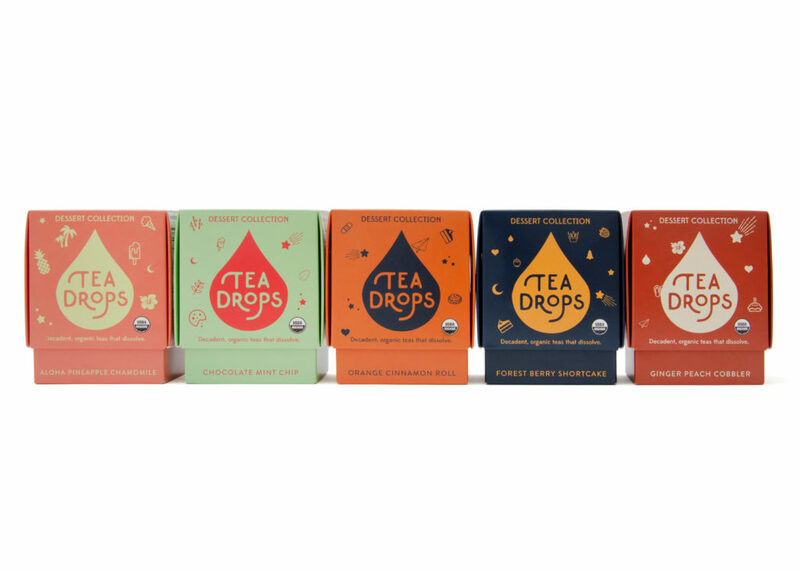 From its humble start in Sashee’s kitchen, Tea Drops has come a long way—fast. The company grew to six employees, moved to an office in downtown Los Angeles and hit millions of dollars in revenue in 2018. (Fun fact: 60,000 Tea Drops are made daily.) Sashee also recently raised $2MM in funding and was selected as a Tory Burch Foundation fellow and recipient of a $100,000 grand prize business grant from fashion designer, Tory Burch. If she sounds like a powerhouse, that’s because she is. She’s also one of the kindest people I know. We met on a blind friendship date years ago (a mutual boss we’d worked for at different times set us up). Once, my sister Sophie was looking for an airBnB in San Francisco to spend her birthday weekend. When I mentioned it to Sashee, she told Sophie not to bother. Sashee packed a bag, left her amazing waterfront apartment overlooking the San Francisco Bay Bridge and stayed somewhere else so that Sophie could enjoy it all to herself. And when Alan was really sick, she (or some other blessed soul from the Tea Drops team) brought us dinner every night (anything he wanted, seven days a week). 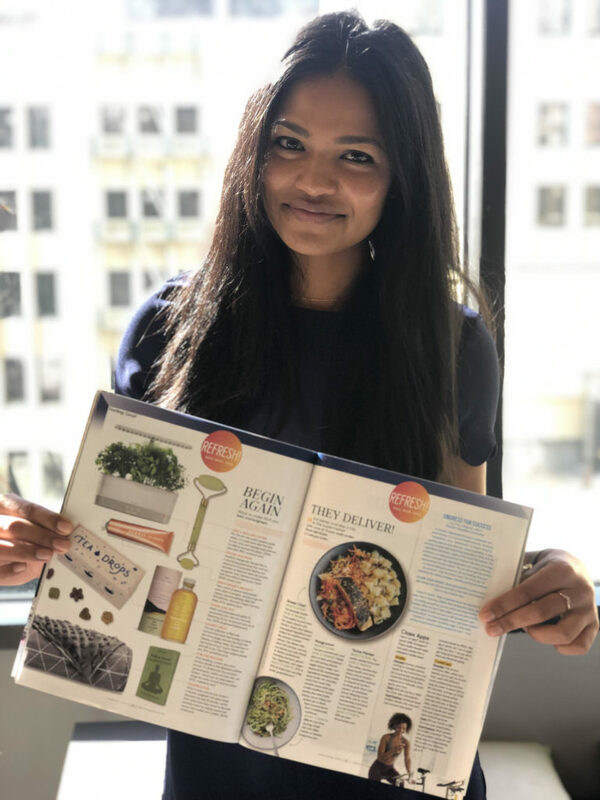 Which is why I was so happy when Sashee reached her gold standard for success: Tea Drops was featured in the January 2019 issue of O, The Oprah Magazine. One of her secrets? Vision boards. 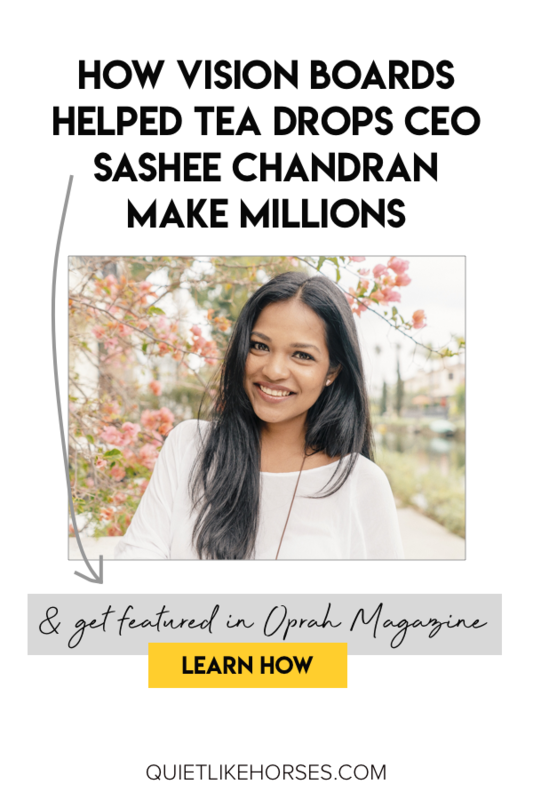 Here, she shares why vision boards work, how to make your own and how she finally turned her Oprah vision-board into a reality. Vision boards are visual expressions of your intention. They’re a good way to express what you want your business or personal life to look like in a few years, especially because a lot of us don’t take the time to think about what goals we want personally or professionally. Visuals help because a lot of us don’t have great imaginations. It can be hard to visualize what it would be like to have that experience you’re dreaming of achieving. But to succeed, you need to get into the feeling of what it would be like to achieve what you want. By visualizing and setting your intentions on a vision board, you’re doing a lot of up-front work to crystallize what you want. Once you’re clear what you want, it’s easier to start taking steps to get to the end result. All of your subsequent actions (whether it’s conscious or unconscious) help you get closer to those objectives. It’s harder to get to the end result if you don’t know what that is. 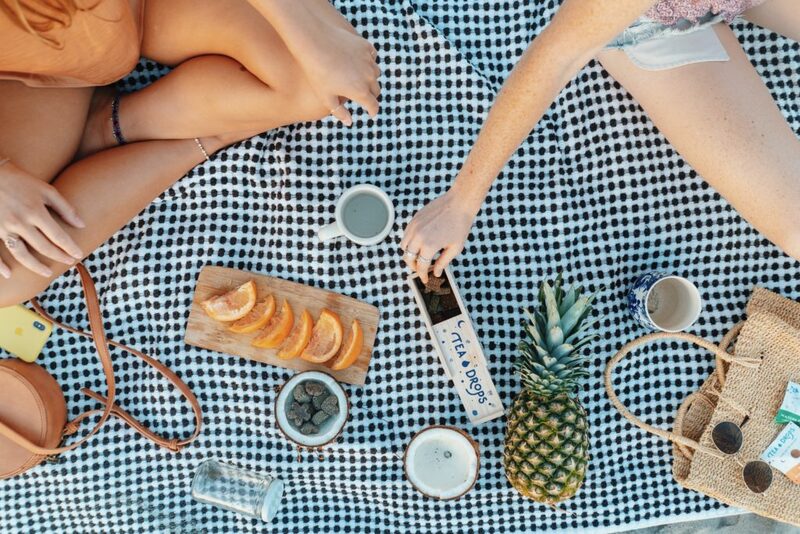 Why did you start making vision boards? I’ve personally made vision boards since 2008. That was when I first started thinking about what I wanted in the next few years. 2008 was a more difficult year for me. I lost my first job out of college; it was the time of the economic recession; and I was craving some certainty and stability. A vision board was a way to give myself hope for a more secure future. The first time I did it, 90% of the things I had on my list came true within the first two years. What kinds of things did you put on your vision board? Back then, I wanted to move to a new city, specifically Campbell in the Bay Area. I wanted relationships with certain qualities, a particular job with specific salary requirements, and a lifestyle with more flexibility. One time I put that I wanted a dog. 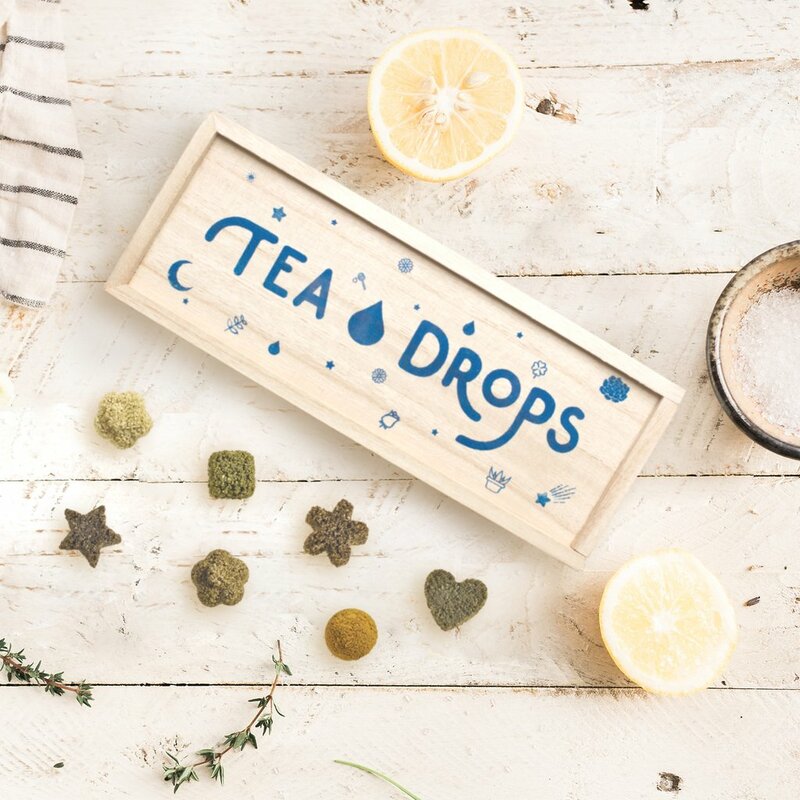 Years later, I wanted Tea Drops to be featured in Oprah Magazine. What should you put on a vision board? Vision boards are really good for unseen, non-specific goals that don’t have a clear path. Like getting featured in Oprah Magazine or being a household tea brand. There are no specific numbers. They’re broader, bigger goals that go beyond hitting a revenue or metrics target. Vision boards are really good for unseen, non-specific goals that don’t have a clear path. They’re broader, bigger goals that go beyond hitting a revenue or metrics target. How did you turn a picture of Oprah on your vision board into a reality? I knew that Oprah’s seal of approval (especially Oprah’s Favorite Things list) was the gold standard for achievement for a packaged goods company. Also, knowing how much Oprah loved tea, I wanted her and her staff to try Tea Drops! I remember cutting out a picture of Oprah and putting it on my vision board to signify a hope we’d one day be featured. I think she was wearing an orange top. That was in 2015. I didn’t know anyone at Oprah, so I looked up the address for Oprah Magazine headquarters in New York. We would send product to them every three months. Then I met a friend of a friend who met a girl whose product got into Oprah Magazine. She had an email address for someone at Oprah Magazine (I had to swear I wouldn’t say where I got it from) so I started sending emails every few months. And all of it just went into a black hole. Then finally, in May 2018, I won the Tory Burch Foundation Grand Prize Fellow, and I got to pitch in front of Adam Glassman, the Creative Director of Oprah Magazine, who was on the judging panel. We had a luncheon that day when they announced the winner. He came up to me, said good job and gave me some feedback, along with his email. He said he’d get in touch, but months went by without a word. I kept in touch anyway, sending emails every few months to see if he’d want to meet. I still hadn’t heard from him. In July 2018, I was in New York for another reason, so I reached out to him again and said I’d really like to meet up—but could only meet that day. He couldn’t meet because he was editing the September issue, but he suggested I come in and meet another staff member (progress!). I immediately set up a meeting that day with another editor. I was on the other side of town, but nothing was going to stop me from pursuing this amazing opportunity. The building was mega intimidating and you have to go through insane security. I went to the O Magazine floor and pitched to an editor named Paula. I pitched my heart out and she was very kind as well as receptive. She didn’t know where to place us at the time, but she liked our story and the concept. As I left the magazine floor, I saw Adam Glassman and Gayle King (Oprah’s bestie) talking in the corner—I almost fell over and died! I followed up with Paula a few times when I got back to LA. In November, she told me she was going to put Tea Drops in the January 2019 issue. When the issue came out, three of us on my team ran to CVS, purchased all of the magazines in stock and freaked out. There was Tea Drops on page 60. Do you ever feel like your vision board is too pie in the sky? Yes, but I think that’s part of the fun. It’s almost like you want to be ridiculous in your ask, but you would be so stoked for it to happen in your life. It doesn’t mean you’ll always succeed in getting it, but by making it an intention, there will always be side benefits to it. Sometimes there are detours, but you won’t know what will happen until you try. So what’s on your vision board now? I don’t totally blame him. I know it seemed ridiculous. Big things do seem ridiculous until you work on it and create it. And now I’m not afraid of saying bold statements like that because I’ve learned over time that what you’re seeking, you’ll attract. Or at least get close to it. That’s why it’s so important to have your vision board because when things get difficult or people don’t believe in you, it’s a good reminder to get you through it. What’s your biggest tip for vision board success? People think vision boards are really woo-woo, but it’s not as simple as ‘make a vision board and forget it.’ Yes, you make it and set your intentions, but you have to do the work. You have to muster all the action you can and then surrender. With my Oprah goal, as soon as I met Adam and followed up with Paula twice, I knew I did all I could. I surrendered then because the rest is up to the forces of the universe. You have to be okay with that. Will you make a vision board? Will you make a vision board or have you before? Did it help you reach your goals? After hanging out with Sashee, I’m always inspired to make 10. The holiday cookie exchange party Sashee and I threw.